What a Health Committee Can Do. [Fabian Tract No.148]. - ---. ---. - What a Health Committee Can Do. [Fabian Tract No.148]. Fabian Society, 1909. First Edition, Paperback. Very Good Condition. Large Pamphlet. 19 pages. Paper covers. Near Fine. Quantity Available: 1. 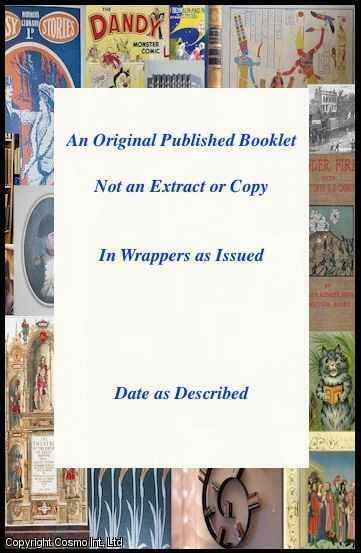 Category: Booklets & Pamphlets; Inventory No: 065390.